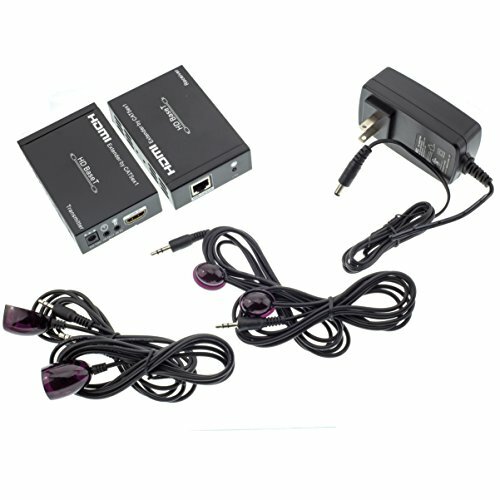 With this HDBaseT extender set you will be able to run uncompressed high-definition signals from your source device such as a DVD player, PS3, Xbox, Satellite receiver or any device with an HDMI output to a TV up to 100 Meters (328 feet) away. HDBaseT can connect all the entertainment devices in a setting through its 5Play feature set; converging uncompressed full HD digital video, audio, power over cable and various control signals through a single 100m/328ft CAT5e/6 cable with RJ45 connectors. Compatible HDBaseT parts are listed below.